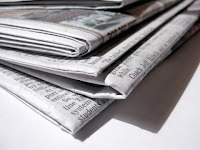 Karen Woodward: Could Newspapers Become Ebook Publishers? 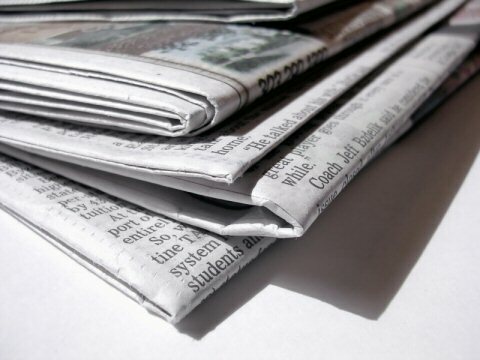 Swiftly and at little cost, newspapers, magazines and sites like The Huffington Post are hunting for revenue by publishing their own version of e-books, either using brand-new content or repurposing material that they may have given away free in the past. And by making e-books that are usually shorter, cheaper to buy and more quickly produced than the typical book, they are redefining what an e-book is — and who gets to publish it. On Tuesday, The Huffington Post will release its second e-book, “How We Won,” by Aaron Belkin, the story of the campaign to end the military’s “Don’t ask, don’t tell” policy. It joins e-books recently published by The New Yorker, ABC News, The Boston Globe, Politico and Vanity Fair. The books occasionally snap up valuable spots on best-seller lists — “Open Secrets,” an e-book published by The New York Times, landed in the No. 19 spot on The Times e-book nonfiction best-seller list in February. I hadn't considered this possibility, that newspapers could bundle content into ebooks, but it makes sense. When the phone-hacking scandal erupted at Rupert Murdoch’s News Corporation in early July, Vanity Fair collected 20 articles on Mr. Murdoch, his family and their businesses and put them in a $3.99 e-book that went on sale July 29. Graydon Carter, the magazine’s editor, wrote an introduction. The articles were then grouped into six chapters, each with a theme that reflected various aspects of Mr. Murdoch’s life. The New Yorker created a similar e-book about Sept. 11 using content from the magazine’s writing on the attacks and their aftermath — everything from poetry to reported pieces on Al Qaeda. It sells for $7.99. So far, sales for the handful of digital special editions that The New Yorker has released remain relatively small. Pamela McCarthy, the deputy editor, put the number in the thousands. “The question of what constitutes well in this new world is one that seems to be up for grabs,” Ms. McCarthy said of the success so far. This is interesting indeed. I wonder how it would impact the area of reviews. Especially, for the NY Times, would they more prone to give better ratings for their own published books? This is such a volatile time in e-publishing. Hopefully it'll survive any growing pains it may have. Kind of fun, a little bit scary, but always interesting- the new face of publishing. Where do we fit? And if we have to ask, maybe we're already too late for the party. So they're saving up already published articles, repackaging them into a book, and selling it for $3.99? Or $7.99? I don't see a big market there personally, but I suppose there's a niche for people who collect, or are researching a particular subject. It feels strange to me though, because I can remember the days when information was not free, and I've been celebrating its release since the internet became widely available. Will I now live to see the genie put back in the bottle? I hope not. I guess the other perspective is that everything is worth something to someone, so why give it away for free? Leave it to a corporation to charge us for articles we could easily have for free, meanwhile us pitiful fiction writers give our work away just in the hope of finding an audience. MT, agreed, the world of publishing these days is anything but dull. Some bloggers have done something similar to this and published their blog posts as an ebook. I think there could be many opportunities in this new world of publishing. Hi Jamie, great to hear from you! Good point about this meaning we would have to pay for something we once got for free. That said, I'm constantly irritated by news sites because they won't let me see their content unless I'm a subscriber (not all, but some). Perhaps ebooks are a different way for them to sell information. Personally, I think I'd be more likely to buy an ebook created by a newspaper than I would be to subscribe to it.